‘The single egg, in the dark blue egg-cup with a gold ring round the top, was boiled for three-and-a-third minutes. It was a very fresh, speckled egg from French Marans hens owned by some friend of ‘May’ (Bond’s housekeeper) in the country. 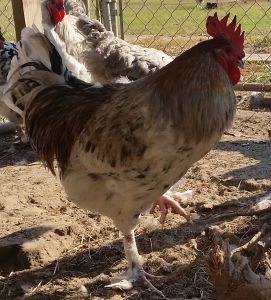 We here at Cackleberry Farm, use the term French Marans to denote the fact our birds have feathered feet. In recent history it has become commonplace to leave off the word “French” and use the same name for birds with or without feathering on their feet. 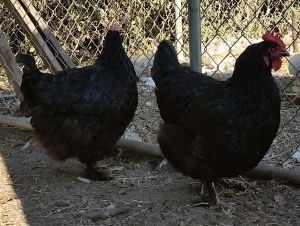 Marans do not produce a huge number of eggs per year. 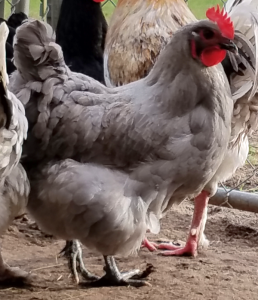 If you are interested in the uniqueness of the color and are willing to sacrifice quantity of egg for egg color, then this is the breed for you. One thing about coloration on the egg. As the hen gets farther into her laying season, the color of the egg will lighten some. There is a limited amount of pigmentation available and as the egg passes through the oviduct, this color is “painted” onto the egg. Toward the end of the season, the girls start to deposit less and less on the egg. 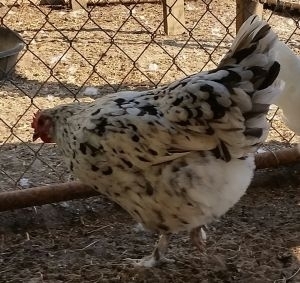 This color pigment gets replaced when the hen goes through her dormant cycle. 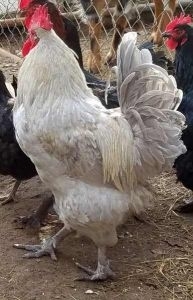 Marans have a large single comb. 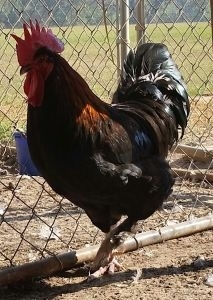 Roosters weigh in at 8 lbs or more and the hens weigh about 7 lbs. They bear confinement well and have an even disposition. We are working with the following color Marans, Black Copper, Blue Copper, Lavender and Splash. Eggs when available are $50. per dozen. Chicks are $10.00 each, local delivery/pickup only.